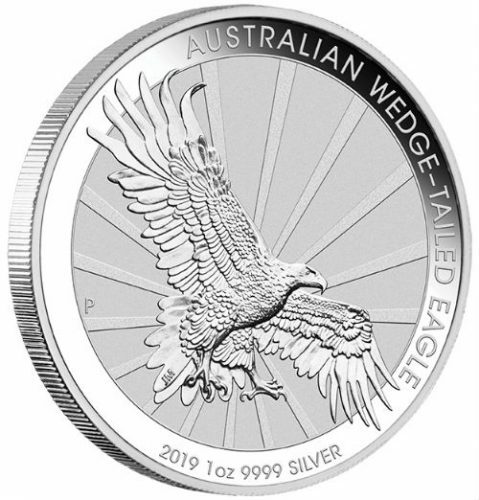 It’s Australia’s next exciting release: the 2019 Eagle Silver Dollar. The Wedge-Tailed Eagle coin series was hot in 2014,2015, 2016,2017, and 2018.. The 2019’s are back with a brand new design! Eager collectors are already picking up the most current year for their growing collections. Don’t hesitate to do the same! This legal-tender Silver Dollar contains one-ounce of 99.9% pure silver with the Australian government’s guarantee of weight and purity stamped right into the coin’s surface. This is an absolute must-have for your collection— this is the raw coin in original Perth Mint capsule ! 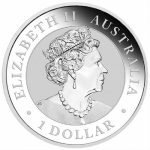 Orders of 20 will come in a sealed tube (shrink wrapped directly from the mint) and orders of 100 come in a sealed box.